Hello! 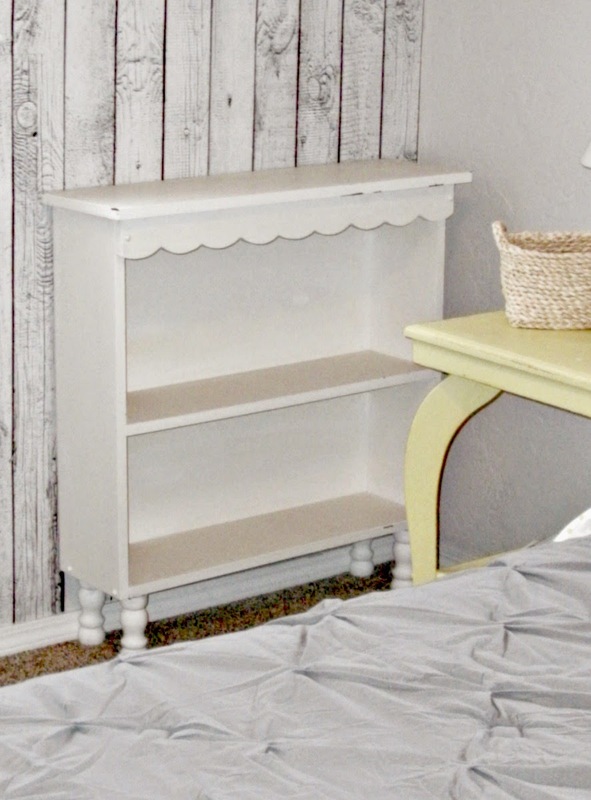 I'm still working on my master bedroom redo and I decided I want another piece of furniture in my bedroom. I have a bed, an electric fireplace, a dresser, a chair, and a night stand but I wanted something else... something a little bit taller... something with some display space for knick-knacks and tchotchkes... something I didn't have to spend any money on... whoa... what? I looked around my house to see if I had anything that would work. I didn't... unless! Unless I married up two smaller pieces of furniture! 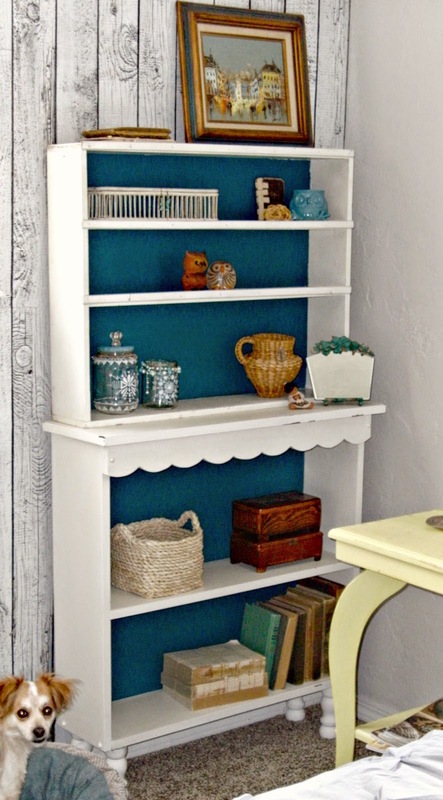 Do you, small but adorable little bookcase, take the little wall shelf to be your lawfully wedded hutch top? 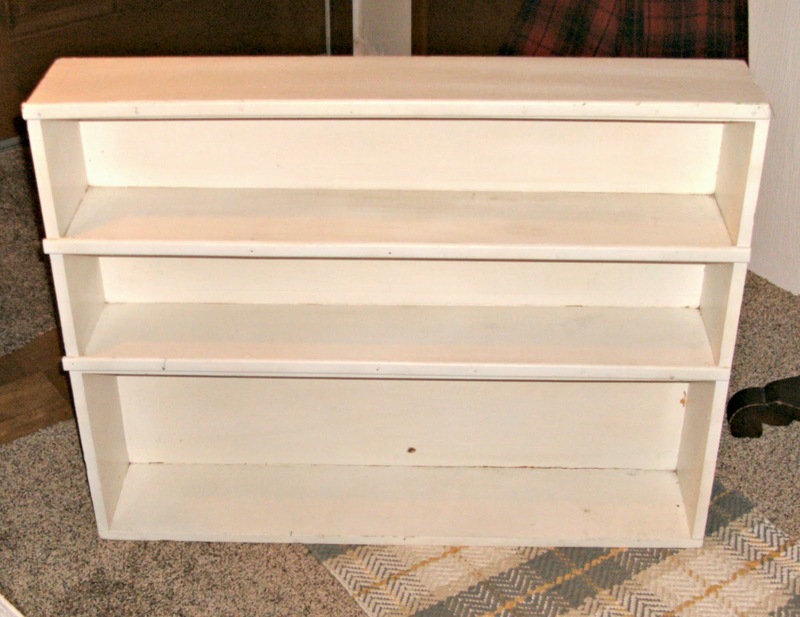 And do you, little wall shelf, take the small but adorable bookcase to be your lawfully wedded hutch bottom? 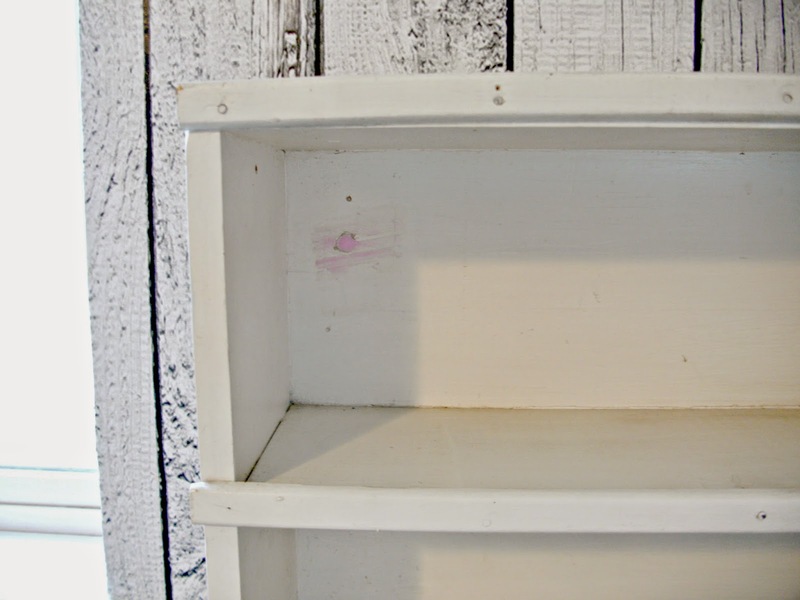 And painted the backs with the same firmament colored paint that I used on the Painted Headboard. I like it! In fact, I think I love it! What do you think? 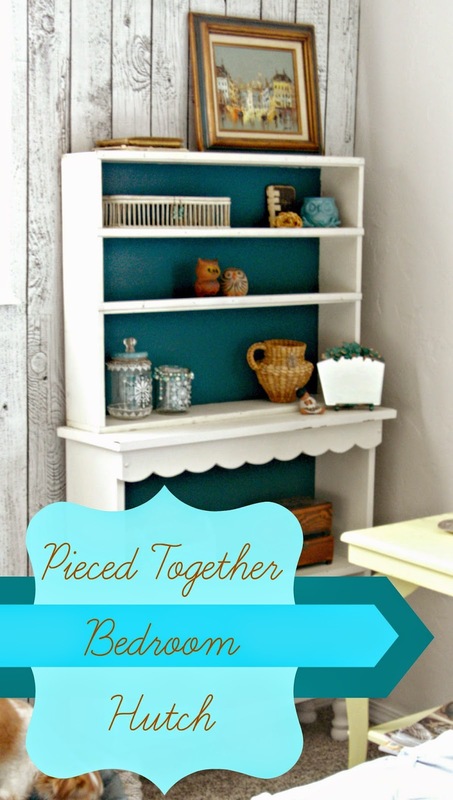 Have you ever married up two separate pieces of furniture that didn't really go together? Great Idea Tania! I think the closest I came to combing to pieces of furniture is just adding feet. Definitely a great way to think outside the box! I love it - your choice of paint colours is beautiful. I'm so glad they got married because they look like they were made for each other :) Wonderful idea, Tania :) Have a great Thursday! It's adorable! Was Pongo best man at your wedding ceremony? LOL! The color inside really makes it pop and look like they belong together. These two pieces were meant for each other. 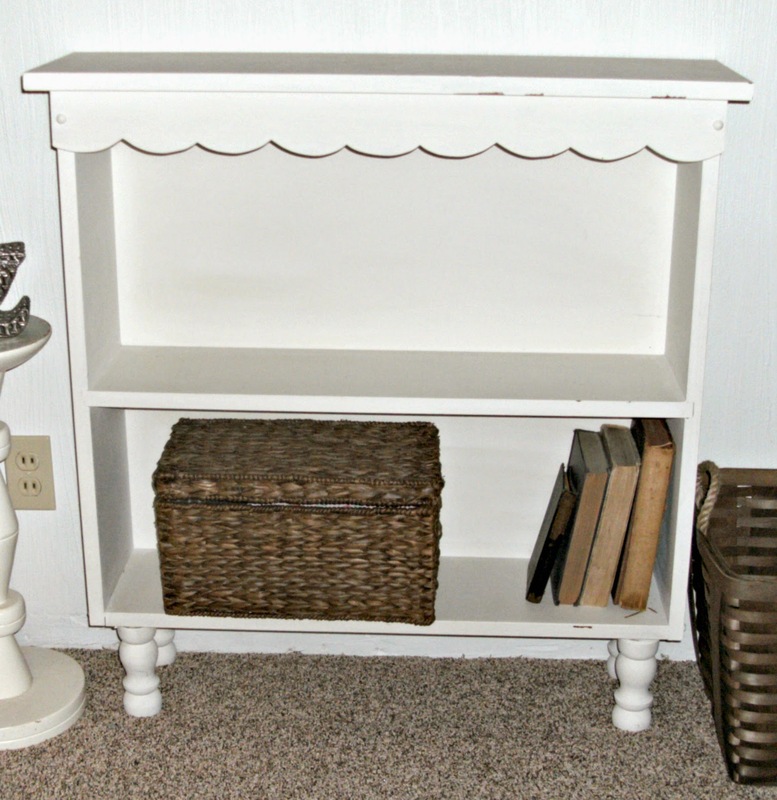 Love the height this new shelf adds to your room. Perfect! 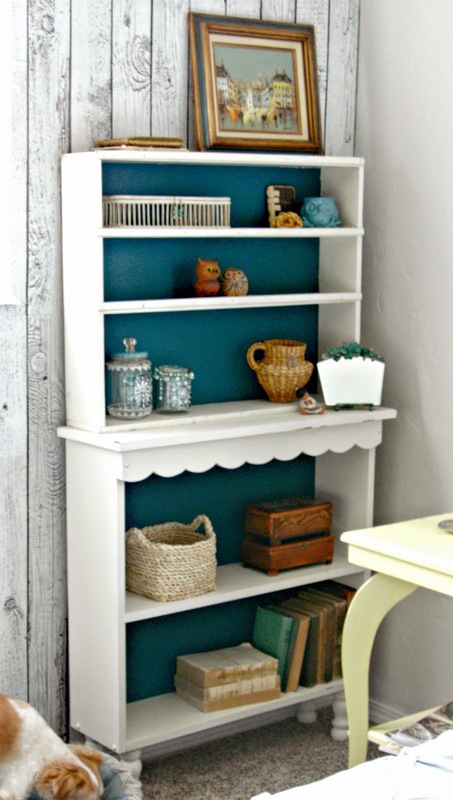 I have done something similar with a roadside-found dresser and a hutch from a yard sale. 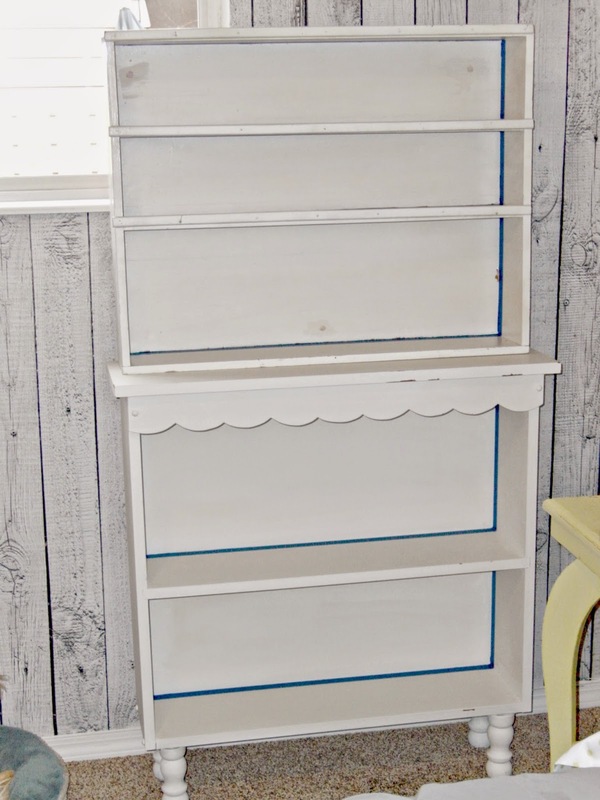 By painting the two pieces the same color and using coordinated decorative designs on the sides, they look like one great big unit that provides me with lots of storage in my studio. Your project turned out so nicely! Thank you so much Ruth Anne! 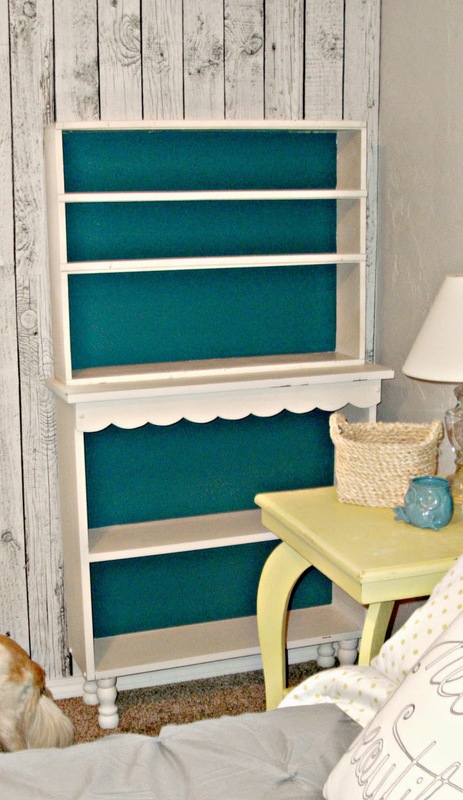 Your dresser/hutch combination sounds lovely! Definitely a match made in heaven! Love it...and the background color makes it pop! I need to do something similar in my living room. I don't have enough display space and it bothers me...lol! I have so many things I want to display but not enough room. I should probably downsize my junk, but I love it! Can't wait to see the full reveal. Are you close to being finished? Have a great weekend! Are you off Monday too? So happy for a 3-day weekend! I think that is pretty sweet. Great job! This is so pretty! It belongs together for sure, just perfect! I love the blue paint in the back.